A law criminalizing religious conversions and the "hurting of religious feelings" went into effect in Nepal this week, a year after the bill was passed. As World Watch Monitor reported last year, Nepal's Christian minority fears the new law will be abused by those seeking to settle scores — as has happened frequently in neighboring India. After the bill was passed, Nepali MP Lokmani Dhakal asked for the removal of the sections criminalizing conversions, saying: "It seems very clear to me that this country, when preparing the civil code, has forgotten it is a signatory to international treaties that protect the freedom of religion and human rights. ... Please don't let it be possible for the world to say of Nepal that we are the kind of nation that on the one hand signs international treaties, but when making internal laws, and in implementing them, does something else." 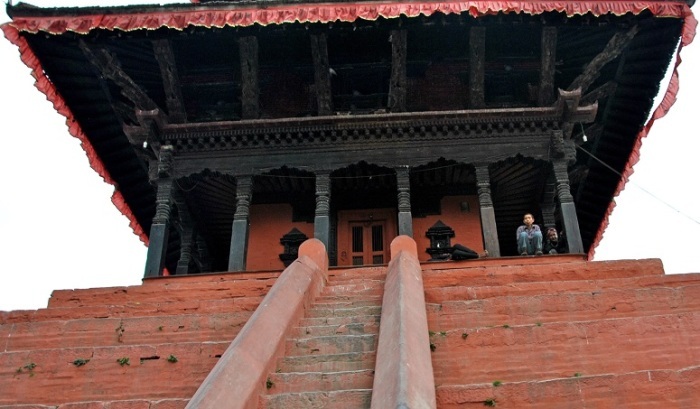 Hindus account for over 80 percent of Nepal's 26 million people. According to the 2011 census, there are just 364,000 Christians. But many observers believe there are significantly more, but that newly converted Christians would be afraid to state their religion and so remain registered as Hindus, and residents absent when the data was collected were recorded as Hindu. In a recent interview with World Watch Monitor, professor Tanka Subedi, chairperson of Nepal's Religious Liberty Forum, said he was shocked at the comments made by the prime minster earlier this year, when he openly criticized foreign Christians for converting people to other religions. "We have deported many who came to Nepal in the name of observation when they actually were converting people to other religions," the prime minster, K.P. Oli said in March. Subedi said that, "When we heard [these] things from the prime minister, that was not what we expect from a guardian. He is our prime minister. Christians have also voted for him. And many people are following his party who are in the Church." The professor also highlighted the problems caused by a group known as the Mongol National Army, which has published a press release saying it is going to "destroy all the [Hindu] temples and gumbads [tombs] and build churches in their place." The group has also declared that Nepal will be a Christian nation by 2025. "And then recently, somebody shot a Hindu priest in Virat Nagar, where they also left a leaflet in which they made many accusations against Hindus like becoming pro-Indian and many other things, but it also included [accusations of] destroying Bibles. So because of that one word, 'Bible,' some people are taking [it] as if it was done by the Christians. And rallies and [other] things are happening in different cities in Nepal against Christians, speaking against Christians." Subedi said some pastors have received threats, demanding that they bring "David Tamang," the purported leader of the Mongol National Army, to them. "We don't know who David Tamang is, whether that person exists, or what is [the] Mongol organization," the professor said. "We have no idea. And the Christian community doesn't have any connection with them. ... The Christian community in Nepal is an indigenous religious group. The government should respect that, and look at them with dignity. So now we are feeling a bit side-lined by the government and that's not what the Christian community in Nepal wants, or any other religious group wants." This article was originally published on World Watch Monitor here.